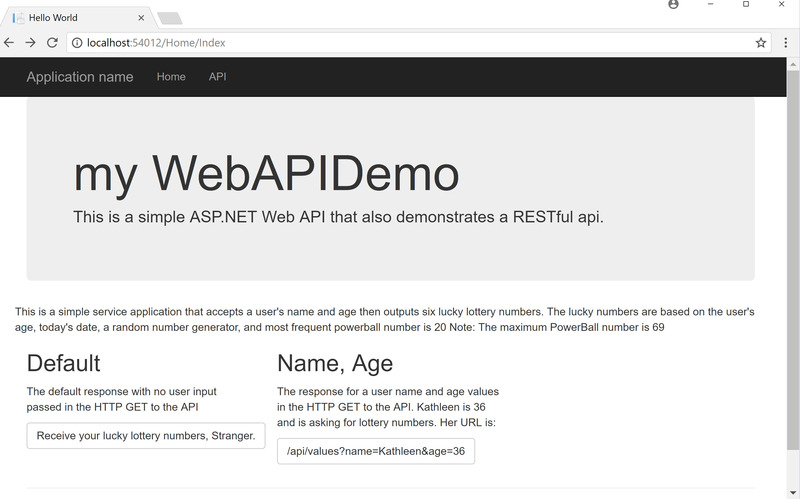 This is a simple ASP.NET Web API that also demonstrates a RESTful api. 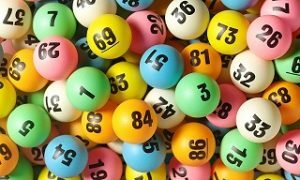 It will calculate and return lucky lottery numbers based on either a default (api/values/) or custom HTTP Get Request (example: values?name=Kathleen&age=36). Note: This was one of my very first experimental Web API projects that I completed in only a few hours. I did not add API documentation. I’ve since completed an actual college course on Web API and better/more demo projects will be coming soon. A RESTful API is an application program interface (API) that uses HTTP requests to GET, PUT, POST and DELETE data. A web API is an application programming interface (API) for either a web server or a web browser. ASP.NET Web API is a framework that makes it easy to build HTTP services that reach a broad range of clients, including browsers and mobile devices. ASP.NET Web API is an ideal platform for building RESTful applications on the .NET Framework. You can access and download the code from GitHub here.